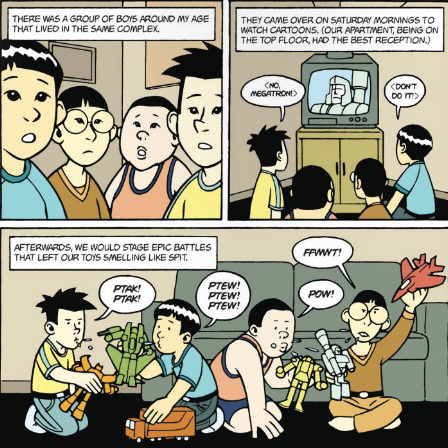 A touchstone in Asian American graphic narratives, Gene Luen Yang’s American Born Chinese still holds up well almost a decade after it first appeared. This is primarily because the story is layered, rather than adopting the straight narratives of contemporaries like Derek Kirk Kim. 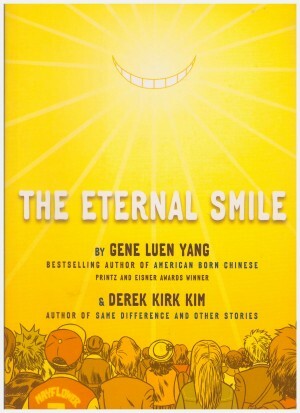 American Born Chinese tells three interweaving stories – newcomer Jin Wang trying to fit in in school; the sitcom-style mishaps of all-American boy Danny who is tormented by the yearly visits of his cousin from China, Chin-Kee; and the familiar story of the Monkey King from the Journey to the West classic, but retold with a twist. 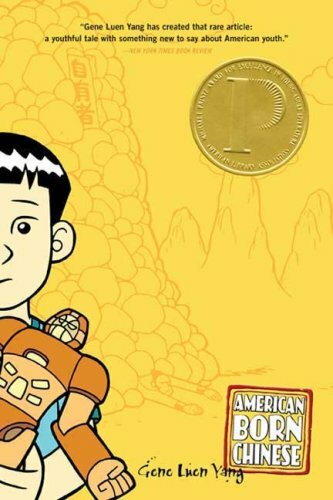 It is not a spoiler to say that American Born Chinese is about coming to terms with your own self and racial identity. Jin Wang wants to be one of the gang to attract the attention of a girl he has a crush on. He rejects his best friend (another Chinese boy in school) and his own Asian roots to dire consequence. Danny has to figure out the mystery of Chin-Kee and his embarrassing visitations, while the Monkey King wants to wear shoes and to be more than a simian. All three stories sound rather run of the mill, but by adding magic realism and monkeys to the mix, Yang goes beyond what is expected. 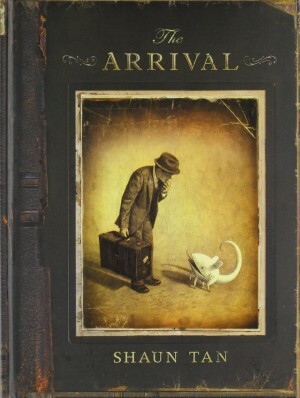 This is a story about friendship and brotherhood as well, which is very Chinese. 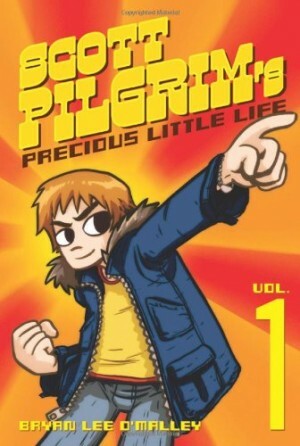 Some might find Yang’s cartooning too juvenile for their taste, but it’s appropriate for the telling of this story, which is targeted at young people. Yang has utilised this limited style to tell even more ambitious stories like Boxers & Saints, but has also worked with other artists to overcome this limitation. While other comics have explored the concept of being an Asian American like Skim (Mariko Tamaki and Jillian Tamaki) and Shortcomings (Adrian Tomine), American Born Chinese remains a landmark book for young adult literature in dealing with the themes of finding oneself and identity. 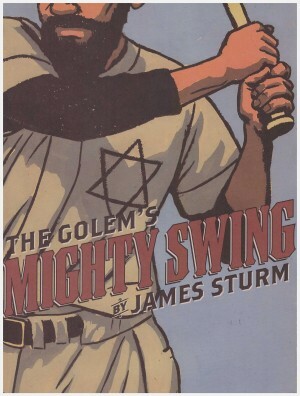 It won several awards and was the first graphic novel to be a finalist for the National Book Award, Young People’s Literature.